To that apocalyptic horsemen scene. Apocalypses is a chapbook of twenty-six poems from Finishing Line Press that all deal with the apocalypse, whether from hydrogen bombs, political destruction, or just a personal eclipse. 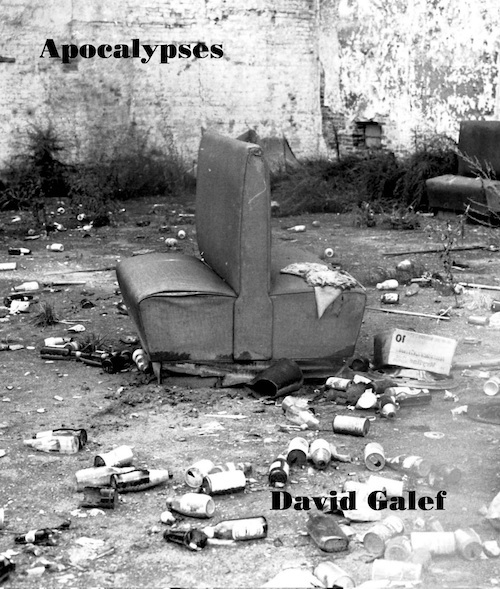 The poems of David Galef’s Apocalypses are profound, ironic, and viciously fun. In exquisitely turned little gems of verse, the poet rides roughshod over our existential anxieties, showing them for what they are: terrible, and terribly funny.